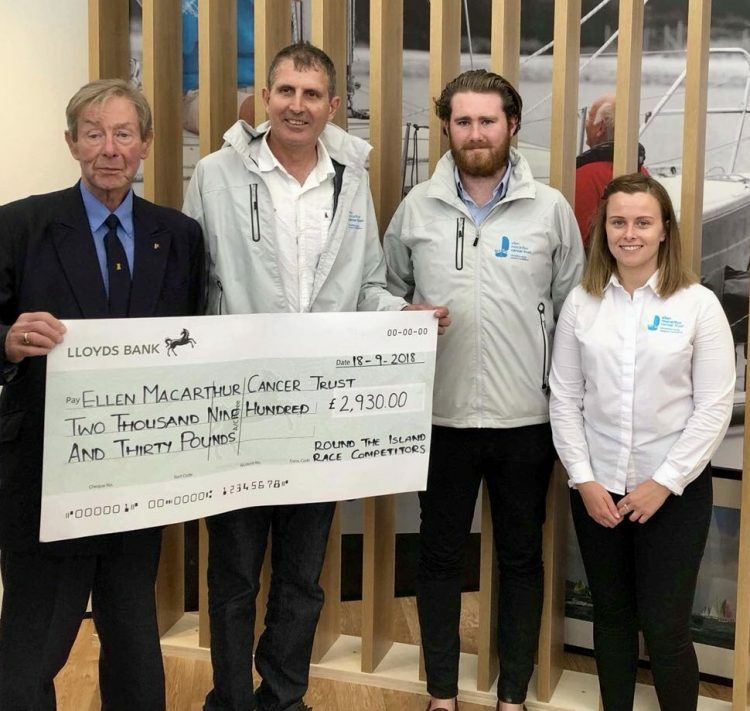 Press Release: Round The Island Race Update; 2019 date confirmation and presentation to the Ellen MacArthur Cancer Trust. The Island Sailing Club (ISC), organisers of one of the most iconic races in the sailing calendar, officially confirmed this date at the MS Amlin Press Event held on the MS Amlin Southampton Boat Show stand yesterday (Tuesday 18th September). The annual Race, which attracts over 15,000 competitors making it the fourth largest participation sporting event in the UK after the London Marathon and the Great North and South Runs, is a one day yacht race around the Isle of Wight, organised and run by the ISC since 1931. Unlike other high profile races, the Round the Island Race is unique in that it welcomes participants from the entire spectrum of yachting; from families, first timers and charitable trusts, to professionals competing at the highest level. In addition to the confirmation of the date, we are also pleased to announce that the presentation of the donation to the Official Race Charity, the Ellen MacArthur Cancer Trust, was made at the MS Amlin Press Event. Presented by John Kidd, Vice Commodore of the ISC, and received on behalf of the Ellen MacArthur Cancer Trust by Brian Thompson, round the world record breaking British Sailor. On Trust trips young people have fun and develop confidence by learning new skills, making friends, talking to others who have been through similar experiences, pushing physical boundaries, rediscovering their independence and no longer feeling alone. MS Amlin has grown to become one of the UK’s leading boat insurance providers. MS Amlin covers the full spectrum of marine craft from a much loved family dinghy or dayboat, racing yacht, RIB, as well as all types of cruising and motor boats to brand new multi-million superyachts in the UK, Mediterranean and further afield. With the backing of one of the world’s largest insurance groups, MS Amlin delivers service based on years of experience on the water to be able to genuinely understand our clients’ needs. MS Amlin Underwriting Services Limited is authorised and regulated by the Financial Conduct Authority.